on Saturday, March 14. Be sure to RSVP (if you haven’t already). Wicked Cyclone updates and new for 2015. · Guest Speakers: You will have to wait and see…. have a new roller coaster being built for this coming summer! from all those who will attend. So that SFNE can plan ahead for lunch, be sure to reply if you will attend. clean-up and other ‘organizational needs’. Check out the attached flier, and I hope to see you there! Comments Off on ACE New England’s – The Great Nor’Easter! meet-up will be put into place. Yeah, it’s winter in New England, which means no roller coaster riding. 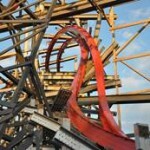 Comments Off on January Roller Coaster Riding?